Nobody does it like Friendly Confines with all of the games televised, raffles, bingo and trivia with a chance to win major prizes! When it came time to name his Chicago style sports restaurants, he thought back to when he was a little kid at Wrigley Field when Ernie Banks, “Mr. Cub”, could be seen outside of the ball park signing autographs and saying “Welcome to the Friendly Confines!” and it clicked! This is where ultimate sports fans will gather to watch every sport, every team, every day! He first had to get permission from the Chicago Cubs to use the name that so famously became the nickname for Wrigley Field. He wrote a letter to the marketing team explaining that he was a Chicago Cub through and through and would do the name justice down in The Sunshine State where he now lived with his wife and son. They granted him permission to use the name in Florida and the rest is history! 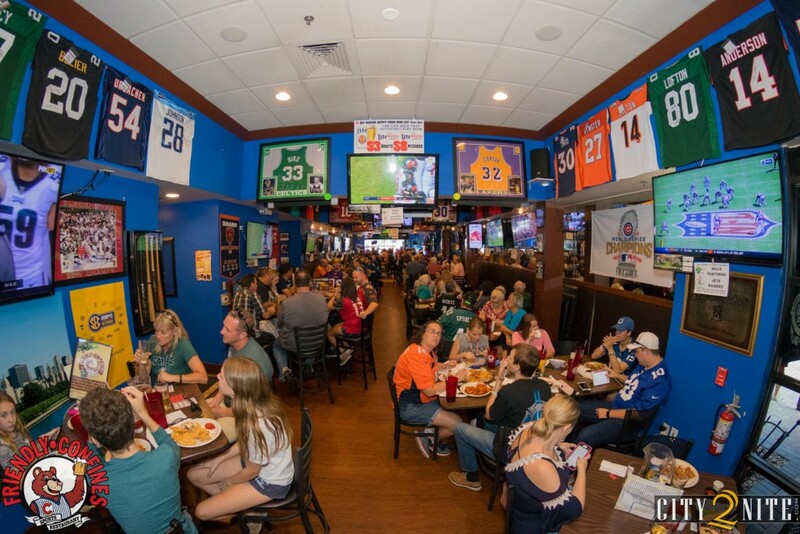 They opened their first Friendly Confines Restaurant in Waterford Lakes in 2000 which quickly became a staple for local sports fans to grab a beer and watch their favorite team on the big screen! Since then, they’ve opened 2 more locations around Central Florida in Winter Park and Lake Mary. Each one bigger & better than the last and eventually outgrowing the space in Waterford. This led them to franchising a store in Metro West in 2015. All MLB Baseball games shown. Also catch all of the NBA & NHL Playoff action on one our 60 TV’s!